Claude-Joseph Vernet – The Clark Museum 1977.17 . 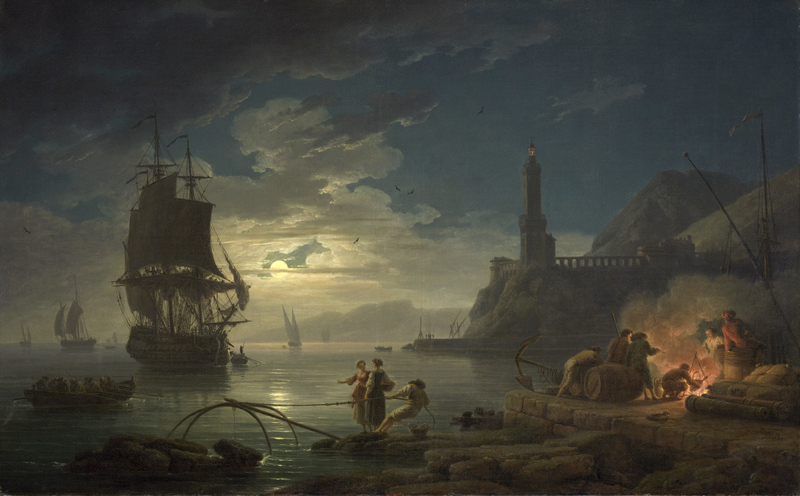 Title: Coastal Scene in Moonlight. Date: 1769. Materials: oil on canvas. Dimensions: 81.3 x 130.8 cm. Nr. : 1977.17. Source: http://www.clarkart.edu/Collection/3010. I have changed the light and contrast of the original photo.